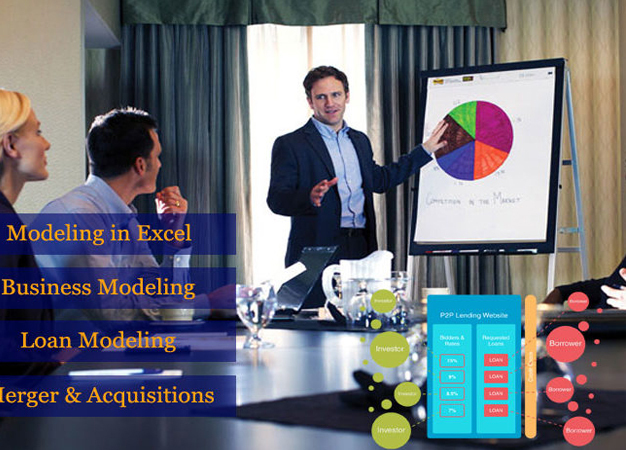 Industry-oriented certification Financial Modelling in Excel training course to furnish your career to kick-start/grow at MNCs/Non-MNCs Organization & corporate. Professional expert Techno- Functional Analyst from Top B-collage With 10+ Years of working experience will provide you industrial level training. Lookup & Reference Functions:-VLookup, HLookup, Index, Match, Offset, Indirect, Address, Column, Columns, Row, Rows, Choose, Arrays Concept In Lookup Formula’sSum, Sumif, Sumifs, Count, Counta, Countblank, Countif, Countifs, Average, Averagea, Averageif, Averageifs, Subtotal, Aggregate, Rand, Randbetween, Roundup, Rounddown, Round, Sumproduct. Text Functions & Data Validation:- Char, Clean, Code, Concatenate, Find, Search, Substitute, Replace, Len, Right, Left, Mid, Lower, Upper, Proper, Text, Trim, Value Date, Day, Month, Year, Edate, Eomonth, Networkdays, Workday, Weeknum, Weekday, Hour, Minute, Second, Now, Today, Time. Advanced Filter, Validation & Pivot Table:- Filters (Basic, Advanced, Conditional), Sort (Ascending, Descending, Cell/Font Color), Conditional Formatting, Data Validation, Group & Ungroup, Data Split. Pivot Table and Charts, Import and Export Data, Protect/Unprotect Sheets/Workbooks, Worksheet Formatting and Print Display. Introduction to Financial Statements – P/L, B/S, C/F statements reflecting operating, financing and investing activities of a business. Corporate Finance– Understanding of capital structure and how corporate finance works is quite essential for any professional pursuing his/her career in Finance. It gives a bird’s eye view of an organisation and provides an understanding of how various financing activities impact the valuation of a firm. CFO of any company endeavours to optimize the capital structure by selecting the right financing tools to address the operating and investing needs of a company. Excel formulas like NPV, XNPV, IRR, XIRR, PV, FV, etc. Valuation: Valuation is the Process to determine the current worth of asset. In SLA course, the asset is a company. For the valuation of companies, following are the three widely used techniques. Financial Modeling – Financial Modeling refers to the process of building a structure that integrates the Balance Sheet, Income Statement, Cash Flow Statement and supporting schedules to enable decision making in areas like, Business Planning and Forecasting, Equity Valuation, Credit Analysis/Appraisal, Merger/acquisition analysis, Project Appraisal etc. Trainees learn how to build full, dynamic Financial Statement Projection models in Excel from scratch, using real case studies and sensitivity analysis. Participants develop a model completely from scratch, inputting historical data and assumptions to project financial statements using step-by-step instruction on selecting and developing appropriate projection drivers. At completion, participants will have developed a complete and integrate three-statement model using various supporting schedules. Dashboard Reports Based on Tables and Number or Charts/Graphs or Both. Different type of data type; How and When to use Variables to Store Information. What is user’s Defined Functions? How to create & use them. Working with User Forms & User Forms Events like List box, Combo box, Option Buttons, Check box, Text box, Labels, Command button, Toggle button.